These window planters are made from steel strips and black coated for long life. These window plant boxes are from our Esk range. This black window box is ideal for house wall, gardens wall and under windows. 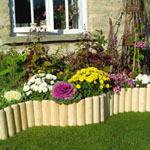 These wall planters come complete with a good quality Co-co liners and Pre drilled hole on back plate for secure fixing. These wall planters are made from steel strips and black coated for long life. These wallplant boxes are from our Esk range. This black wall box is ideal for house wall, gardens wall and under windows. These wall planters come complete with a good quality Co-co liners and Pre drilled hole on back plate for secure fixing. These wall basket are made from steel strips and black coated for long life. These wall baskets are from our Esk range. This black wall basket is ideal for house wall, gardens wall and under windows. These wall baskets come complete with a good quality Co-co liners and Pre drilled hole on back plate for secure fixing. These 3 tier planters are made of strong rod and strip construction. This raised planter is has a durable black wrought iron crackle finish. These tall planters are an ideal feature for patios and decked areas. This patio planter will create classic cascades of colour. Complete with 3 Co-co basket liners. These welcome planters are made from heavy square section and steel strips with a durable black finish. 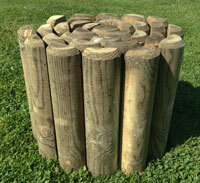 This raised planter comes complete good quality liner, Ideal for patios and decked areas. 16" (40cm) diameter planter complete with co-co liner. Size: 117cm High x 41cm Deep x 47cm Wide. Click on the image to see our Classic range of garden planters.